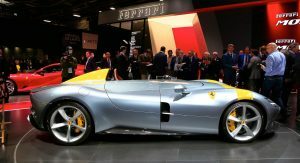 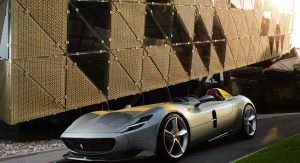 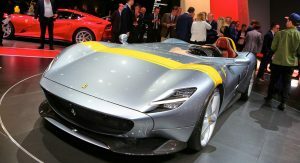 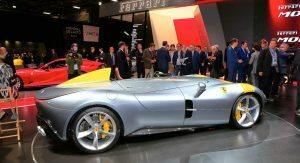 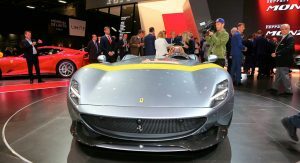 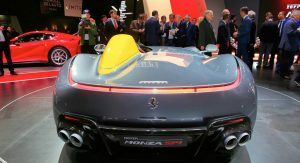 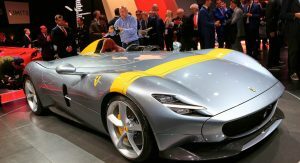 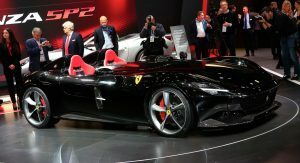 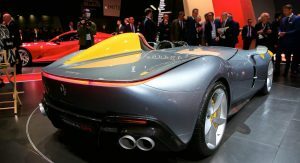 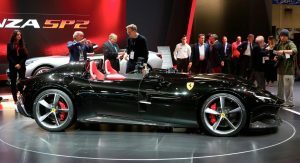 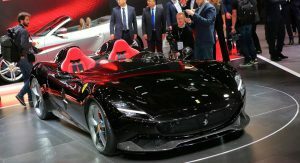 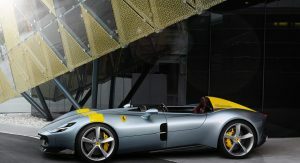 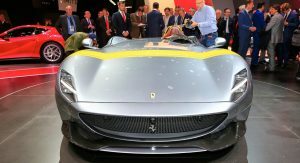 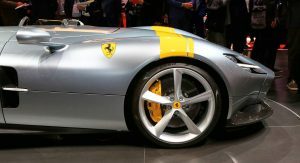 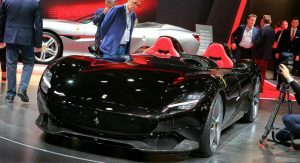 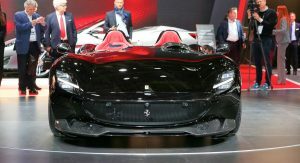 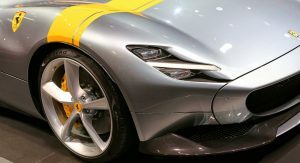 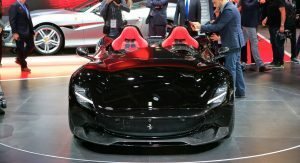 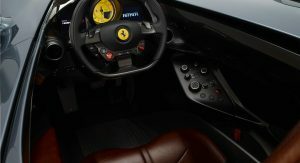 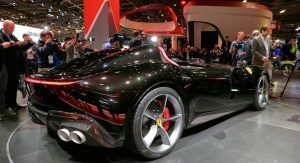 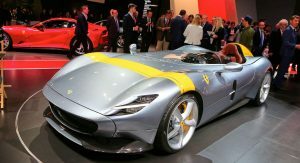 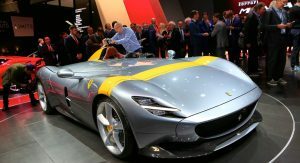 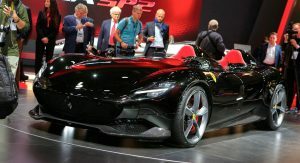 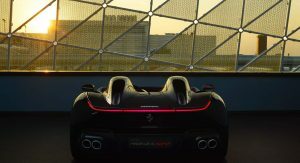 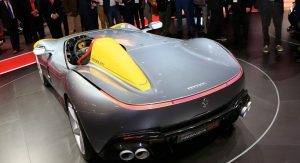 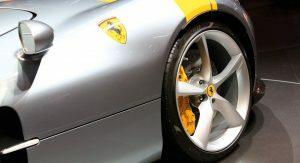 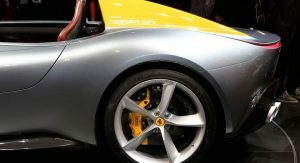 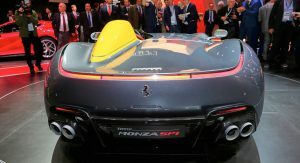 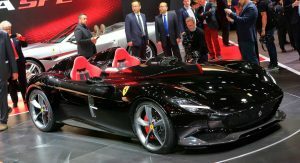 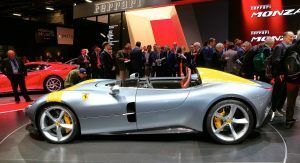 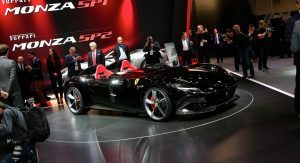 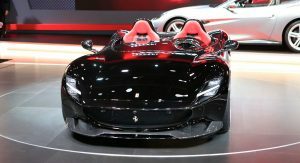 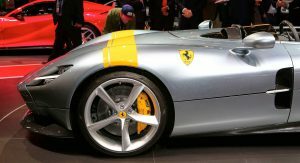 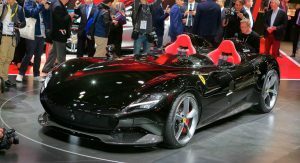 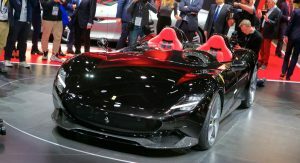 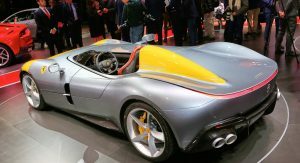 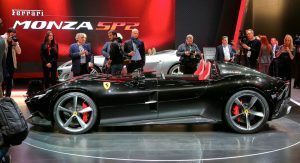 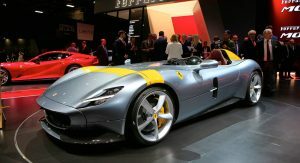 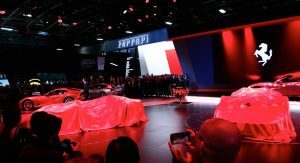 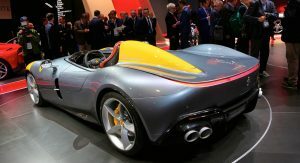 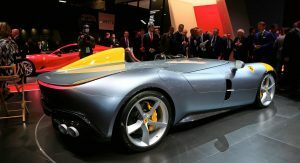 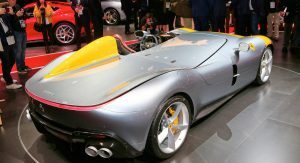 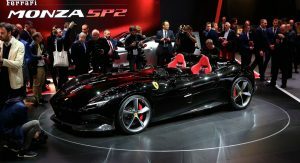 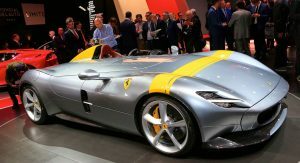 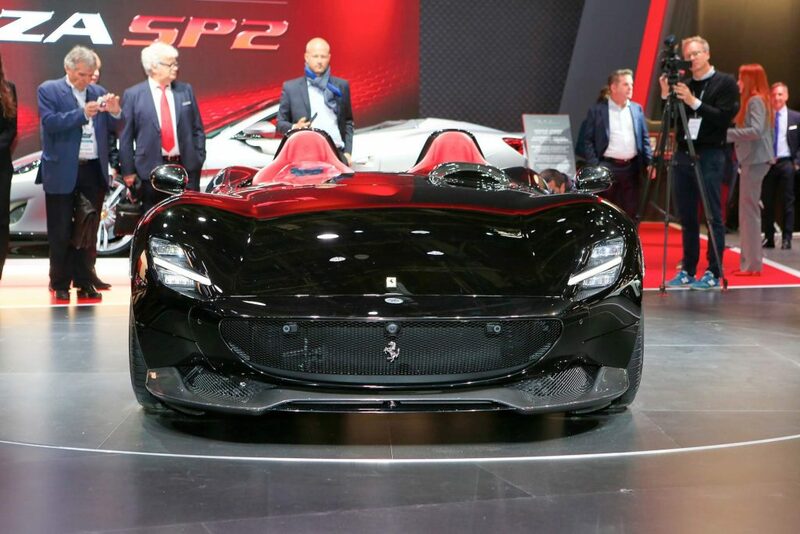 Following their debut last month, the Ferrari Monza SP1 and SP2 limited-run specials drop by the Paris Auto Show for their public world premiere. 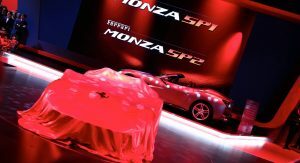 Inspired by the barchettas of the 1950s, such as the 750 Monza and 860 Monza, the Monza SP1 and SP2 adopt a single- and two-seater configuration, respectively. 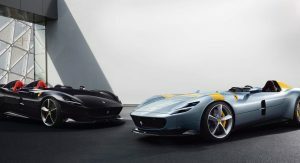 Both are equipped with Ferrari’s most powerful naturally-aspirated V12 ever made, the 812 Superfast’s 6.5-liter unit. 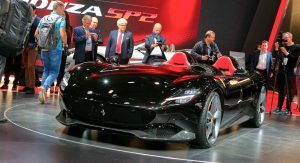 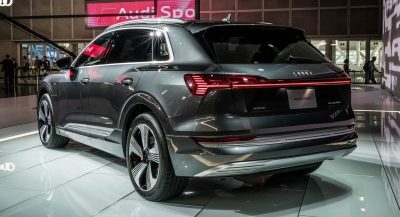 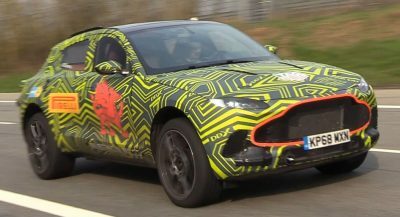 In the SP cars, the 12-cylinder engine makes 810 PS (799 hp) at 8,500 rpm and 719 Nm (530 lb-ft) of torque at 7,000 rpm — 10 PS and 1 Nm more than in the donor car. 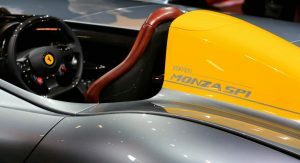 The Monza SP1 and SP2 make extensive use of carbon fiber, and that contributes to their dry weights of 1,500 kg (3,307 lbs) and 1,520 kg (3,351 lbs), respectively. 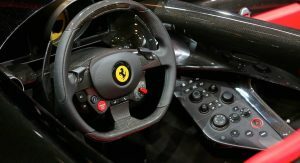 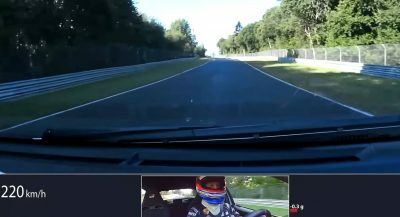 None of them has a physical windscreen, but Ferrari says owners need not worry about that. 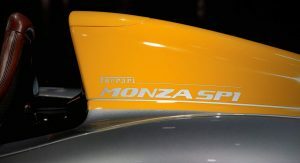 The tiny “Virtual Wind Shield” integrated into the fairing ahead of the instrument panel is apparently enough to deflect airflow over the driver’s head. 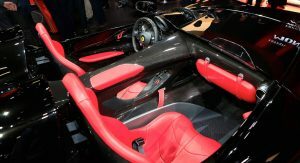 In the SP2, there’s a tiny motorcycle-style physical windshield in front of the passenger seat. 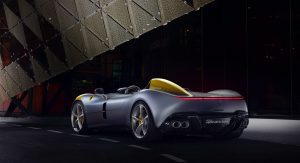 Despite the aerodynamic challenges a car with no windshield or roof pose, the Monza SP1 and SP2 are as quick as the 812 Superfast. 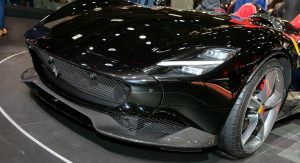 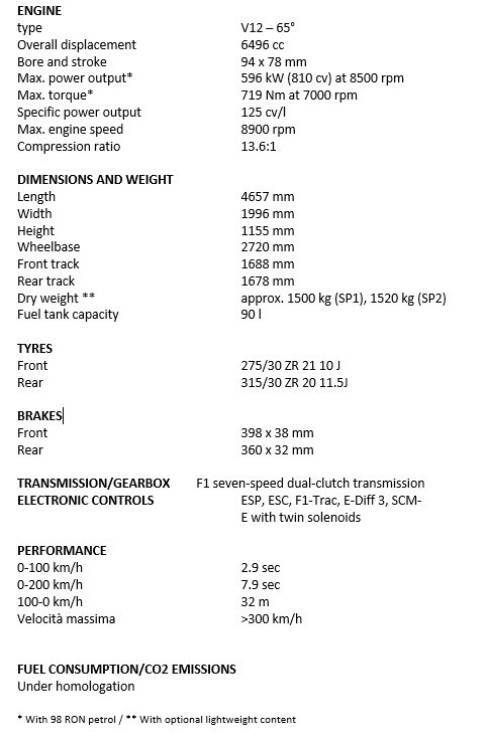 0-100 km/h (0-62 mph) takes 2.9 seconds and 0-200 km/h (0-124 mph) is dispatched in 7.9 seconds. 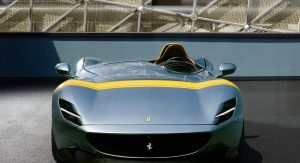 However, the two barchettas lose a little when it comes to top speed, which is rated at over 300 km/h (186 mph). 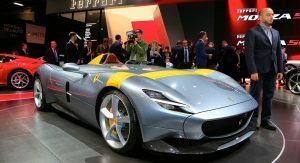 I really want one and painted it with old color scheme from Ferrari back catalogue of 50s sportscar, maybe even make it Carrera Panamericana one with wild sponsorships. 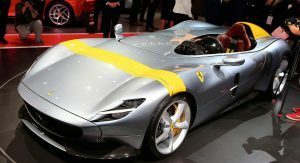 Come on rich people, you read my comment. 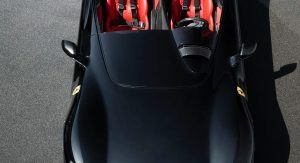 A ride in one is a good way to say thank you to me. 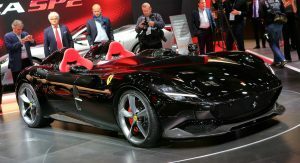 These cars are absolutely insane!!! 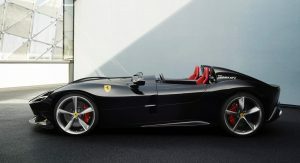 Can I PLEASE have one, in black. 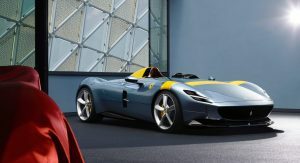 This looks so amazing in images, i can only image it looks stunning in person. 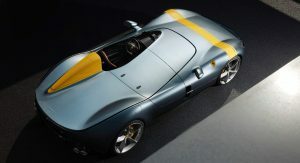 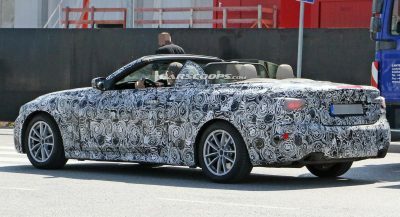 One of the most beautiful cars I’ve ever seen – this is destined to be a future classic. 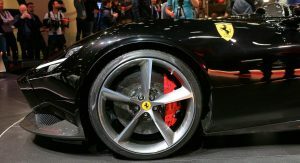 The problem with these is that they won’t get driven . 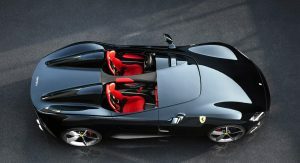 These are total collector type cars. 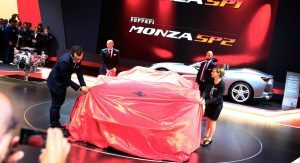 They will sit in garages and be trailered to shows….